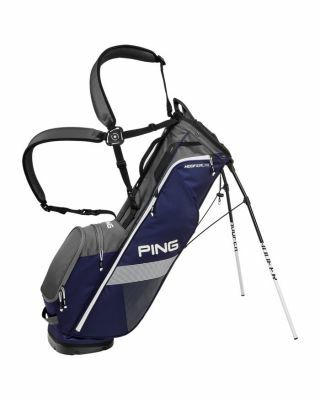 In the lightweight, durable Hoofer Lite bag, a new strap connector eases on/off, front-adjusting shoulder pads are integrated with SensorCool Technology, there’s a cushioned hip pad, a roomy four-way top, and seven pockets offering storage options for essentials and extras. Copyright © 2018 Smitty's Dot Golf. All rights reserved.